What is the Wine Wednesday recommendation? While it was available in late 2012/early 2013, it retailed at the LCBO for $27.95. The cost for a bottle at REDS in Toronto is $60 but it can go north of $80 if you want the privilege of dining at a Charles Kabbouth establishment or some such place of that ilk. American mark-ups, as is the case for all things, are lower and you could grab a bottle at a restaurant for about $45. 85% Sangiovese, 15% Syrah for 2008 but this varies from year to year. In Scansano, the Sangiovese grape is known as Morellino and the area has a reputation for producing wines that are arguably more “New World” in style. We at Sukasa Style are big on QPR (quality to price ratio) and believe that this should be on your radar. 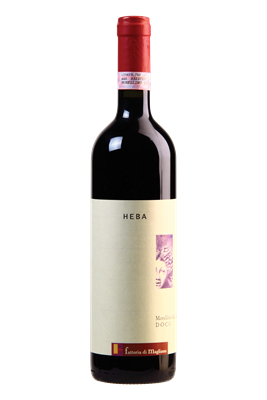 2008 was considered a ‘meh’ or satisfactory vintage for Tuscany so if you aren’t religiously inclined to spending a lot of dollars and cents towards the beloved region’s prized “Super Tuscans” then at least try this entry level DOC option as an enticing reminder as to why it remains high in the pantheon of Old World Wine. There is berry sweetness upfront following a promising nose but it is not one dimensional or overpowering and doesn’t linger as the mid palate density reveals itself. You realize that there is more to this wine’s identity than that of a crowd pleasing superficial quaffer. Some herbaceous notes balanced by leather and spice made it a nice accompaniment for both steak frites and roasted porkloin chop. This isn’t a muscular Malbec or strapping Cabernet Sauvignon that demands dry aged beef; it can bring out the best in a variety of meats and pasta dishes with its balance of acidity, tannins and a smooth, soft finish.